Judy K. Walker, 9781946720054, 140pp. Sydney Brennan isn't exactly the outdoors type, but the Tallahassee PI can't say no when her investigator friend Mike Montgomery asks her on an unconventional first date. A lazy day canoeing down an idyllic Florida Panhandle river, with Mike providing a picnic lunch and most of the paddle power-what could go wrong? A lot, and this time it's not even Sydney's fault. 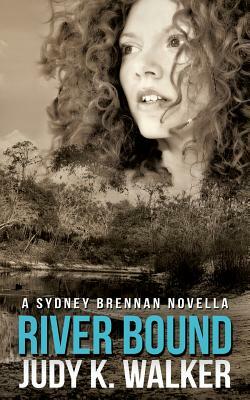 River Bound is the sixth installment in the Sydney Brennan Mysteries, featuring the Florida private investigator with a knack for getting into trouble who doesn't know when to quit. If you're looking for a mystery with believable characters and "just enough humor to offset the dark," click to buy River Bound today. A recovering criminal attorney, Judy K. Walker has enough spare letters after her name (and student loan debt) to suggest that insatiable curiosity is something fictional private investigator Sydney Brennan inherited from her creator. Fortunately, Judy's curiosity rarely involves murders. She also writes the Dead Hollow Trilogy, an Appalachian thriller series with a touch of the paranormal that taps into her West Virginia origins. Judy writes from her home in Hawaii, where she is surrounded by husband, dogs, cat, and assorted geckos. If she's not tapping away at her computer, she's probably sweeping tumblepuppies (the piles of accumulated critter hair).